The efforts of Kansas City-based QM Power to get its new electric motor to market just got a huge boost, with an impartial report showing it achieved 37 percent energy savings. QM Power designed a new electric motor called the Q-Sync Smart Synchronous Motor. 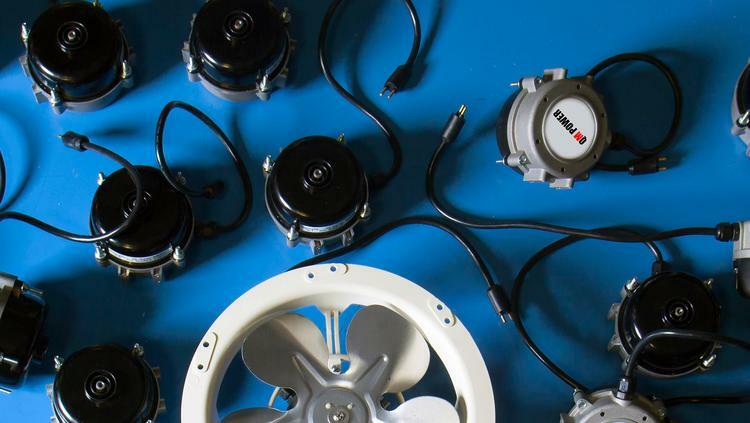 Electric motors are used in a wide variety of applications, including in grocery stores, which have hundreds of them in their cooler displays running the fans that circulate cold air. A new study conducted by Alternative Energy Systems Consulting showed a San Diego supermarket that had 173 of the motors installed produced energy savings of 73.6 kilowatt hours a year, per motor. QM Power CEO P.J. Piper said he’s excited to have another independent report confirm the significant energy savings of their new electric motor, which he describes as the biggest innovation in motor design in more than 50 years. “Given that the QM Power (motor) is a drop-in replacement for an (older technology electric motor) at the same upfront cost, there is no reason not to make the switch today,” Piper said in a release. “End-users, contractors, OEMs, distributors, wholesalers and utilities are rapidly preparing for and implementing this next generation of motors. QM Power received more than $30 million in venture capital funding, contracts and grants to help it develop and launch the Q-Sync motor. The motor was ready for market in September 2015, and QM Power began setting up demonstration projects at grocery stores around the nation. QM Power recently moved its headquarters to a 13,000-square-foot building in Kansas City near the old Bannister Mall site; the new location is three times bigger than its original facility in Lee’s Summit. QM Power has 28 employees but expects to add 12 more before the end of the year in just about every department.